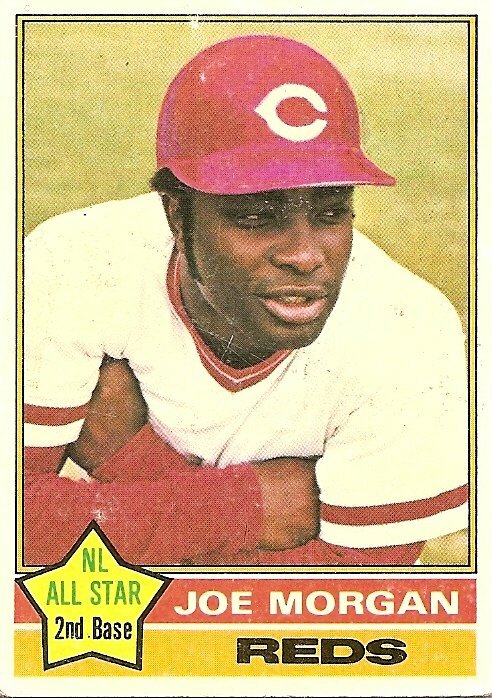 Though Bill James does not designate a best player of the decade, he does identify the winner of our poll, Joe Morgan, as the best player in four straight years, 1973 through 1976. Only Honus Wagner in the first decade of the twentieth century had a longer unbroken string of dominance (in James’ estimation the Dutchman was tops in baseball for seven straight years). Of the players considered in our poll, Joe Morgan ranks the highest in James’ all-time list of players, at 15. Two players at the tail end of their careers in the 1970s rank higher, Hank Aaron at 12 and Willie Mays at 3. Other players getting votes in our poll were ranked thusly, starting at the back: 82. Willie Stargell (James’ choice for “Most Admirable Superstar”); 64. Rod Carew; 57. Reggie Jackson (James’ choice for “Least Admirable Superstar”); 44. Johnny Bench; 33. Pete Rose. Ken Singleton was the only player receiving support in the poll who was not ranked in the top 100 by James, but he is ranked by James as the eighteenth best rightfielder of all time. 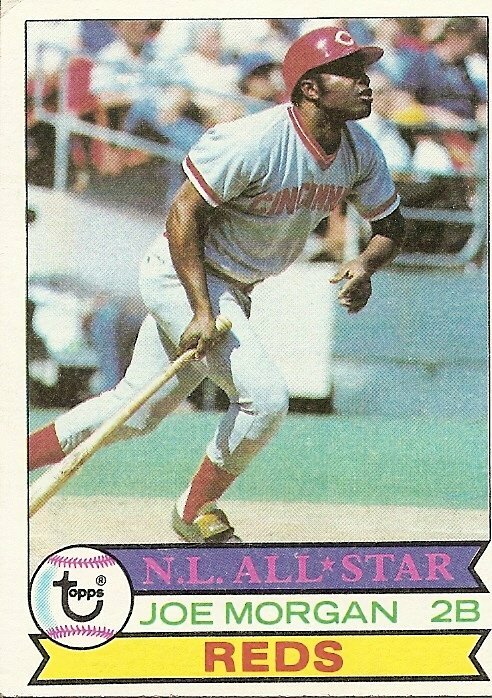 Singleton and Stargell are the only two of our players who did not make it onto James’ major league all-star team for the decade, passed over in the outfield in favor of Bobby Murcer, Reggie Jackson, and Bobby Bonds. I’ve got nothing today. I feel like I’m made out of wet cement and potato chip farts. Friggin’ Monday. I don’t work at my job on Monday, so it’s the day when I’m supposed to take the world by storm, you know, live my dream life, write shattering tales pulsing with the rhythms of undying prose, etc., etc. But I’ve just been stopping and starting all day today, trying and failing to fight through a painful ache that seizes me whenever I try to compose letters of inquiry to literary agents who don’t know me from a begger on the subway. So just to keep from going nuts I’m going to take a short break from composing tedious, desperate explanations of how my festering unpublished novel is a sellable undiscovered gem. I’m going to look at my baseball cards. I’m going to look at my baseball encyclopedia. I’m going to enwomb my 39-year-old self for a little while in these activities that have soothed me and temporarily walled me from my troubles for most of my conscious life. More specifically, I’m going to ask this question: Who’s better, Joe Morgan or Rogers Hornsby? The one factor left out of the above group of numbers is games played. Morgan played in 2649 games to Hornsby’s 2259, and so produced fewer bases and runs per game than Hornsby. Hornsby’s era saw more scoring in general, but unless I’m doing the math wrong (always a possibility), the ratio of his runs per game over Morgan’s runs per game is greater than the ratio of his era’s average runs per game over Morgan’s era’s runs per game. Because of longer seasonal schedules and a slightly longer career, Morgan was able to compile more bases and runs than Hornsby, but I disagree with the claim that he was as potent an offensive force as Rogers Hornsby. The clincher to this argument, to me, comes from a look at how each player stacked up against other players of his era. Was Morgan the greatest offensive force of his day? For a couple years he probably was, and that’s pretty amazing for a Gold Glove middle infielder. He led the National League in on base percentage four times, in slugging percentage once, and in OPS (on base percentage plus slugging percentage) twice. Not too shabby. But now hear this: Rogers Hornsby led his league in OPS eleven times. Eleven! I just took a look at the records of the top names on the career OPS leader board at baseball-reference.com, and it seems, according to my unscientific perusal, that in the history of the game only Babe Ruth led his league in that most telling offensive statistic more times than Rogers Hornsby. Now, I guess Rogers Hornsby was a pretty bad fielder and a dismal teammate. Also, he and all pre-Jackie Robinson major leaguers surely benefitted from competing in a segregated league. With those things in mind, I really can’t say with any certainty that Rogers Hornsby was better than Joe Morgan. But isn’t it tempting to imagine an all-time best lineup that includes a player at second base who is by a certain key measurement the closest anyone has ever come to being Babe Ruth?